The Office of the Provost and Executive Vice President serves to promote academic quality and advance the strategic goals of Florida Poly by providing academic leadership, service, and effective management of university resources. 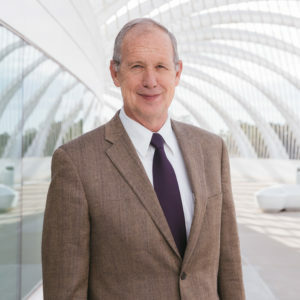 Dr. Terry E. Parker is the provost and executive vice president of Florida Polytechnic University. As provost, Parker oversees all aspects of the university’s growth, including attracting new students, recruiting faculty and working with faculty to secure research grants. He also plays a leadership role in academic development, including creating a quality curriculum and expanding the degrees offered by the institution.